The remnants of Tropical Cyclone have been lingering in the Southern Pacific Ocean for days. On Dec. 10, the storm finally appeared more organized on satellite imagery providing forecasters with a strong indication that it may be reborn as a tropical cyclone. NASA-NOAA’s Suomi NPP satellite passed over the Gulf of Carpentaria and saw the storm. 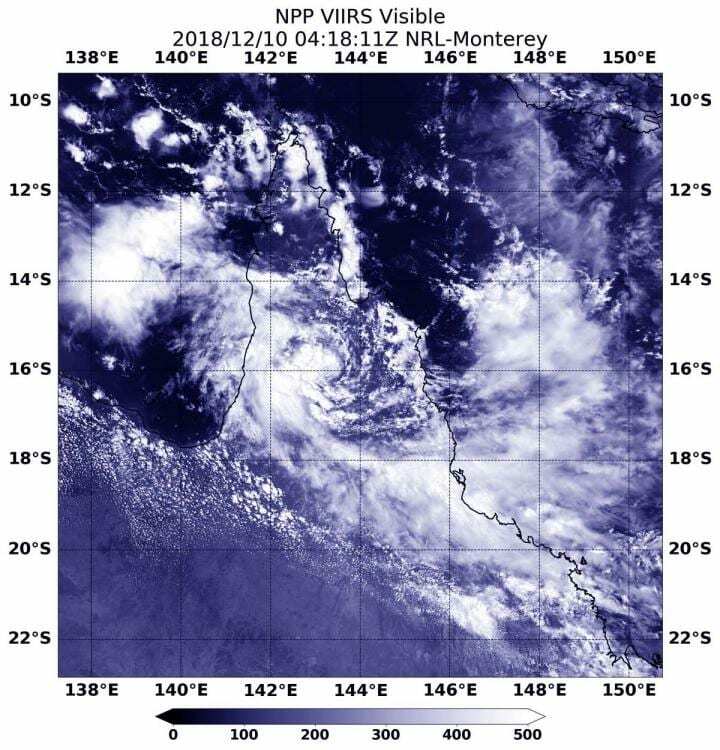 On Dec. 10 at 0100 UTC (Dec. 9 at 8 p.m. EST), Owen’s remnants were located near 16.1 degrees south latitude and 144.6 degrees east longitude, approximately 282 nautical miles east-northeast of Mornington Island, Australia, and just west of the northern tip of Queensland. On Dec. 10 at 0410 UTC (Dec. 9 at 11:10 p.m. EST, the Visible Infrared Imaging Radiometer Suite (VIIRS) instrument aboard NASA-NOAA’s Suomi NPP satellite analyzed the remnants. VIIRS revealed a consolidating low level circulation center with deep convection building over the center.